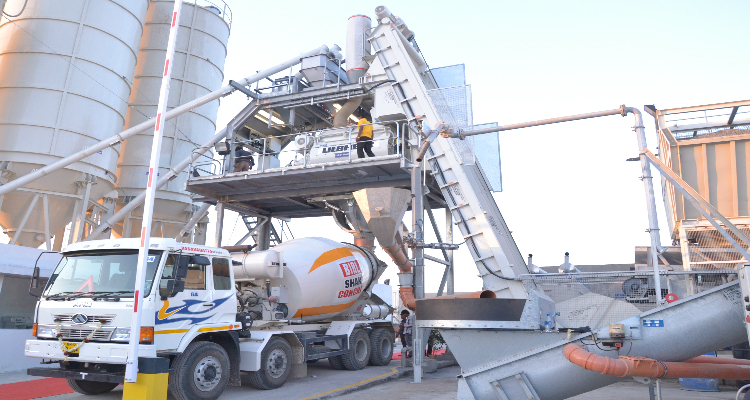 A full-fledged PLC controlled Liebherr Plant with twin shaft mixer imported from Germany of capacity 120 m3/hr. 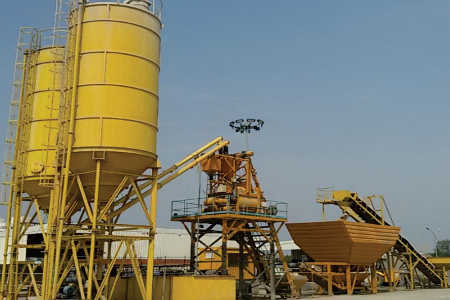 Organized Plant layout & raw material storage facilities. Six Putzmeister truck mounted concrete Moli Pumps are in use to service the site in quick time. 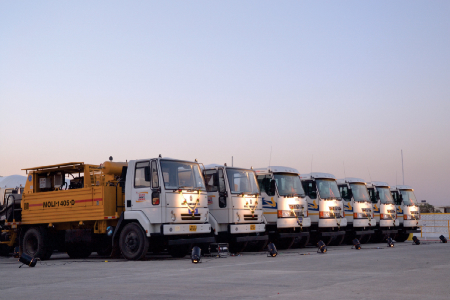 World class Liebherr Transit Mixers mounted on AMW vehicle, 41 numbers. Moisture Probes fixed in the inline bins to control quantity of water intake, when raw material inputs are wet for accurate water cement ratio. We have Back up Plant of 60 m3/hr in case of heavy concrete emergency. World class enhanced Digital Cube Testing Machine(CTM) is installed. 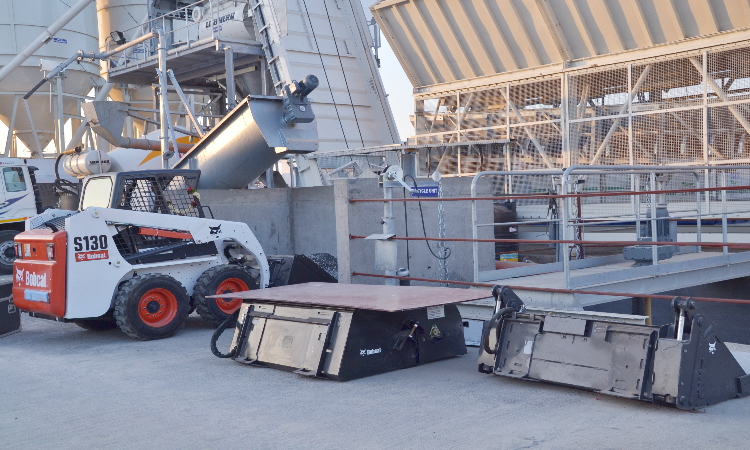 Liebherr Recycling Plant is installed to recycle water resource. Weigh Bridge installed at plant for clients to witness the net weight of the concrete. After unloading of concrete from TM, water is drained in the mixer to clean it. This residual water is taken back to our plant for recycling to keep your site dry and clean. Dust suppression used by sprinkling of water on inline bins..